The alcohol lobby has had a disproportionate influence on policy in New South Wales for a long, long time. The Australian Hotels Association and Clubs NSW are often accused of running this state. And given the concessions they continue to receive, it is difficult to disagree. I work as a criminal defence lawyer, and just I've lost count of the number of clients I have represented after a night of violence in the Rocks or in Kings Cross. It's a constant theme in the Local Courts - people brawling with each other, security guards or even just random passers by. The various places around Sydney where bars proliferate are, put simply, dangerous places. When I was at school, I distinctly remember a teacher telling us that there are three kinds of drunks - Happy drunks, sleep drunks and angry drunks. 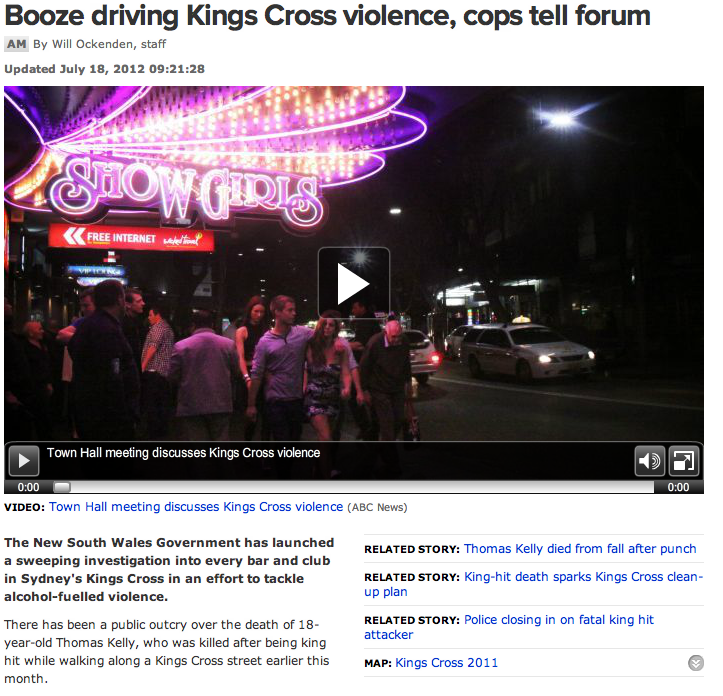 Sadly, it seems like a lot of people drinking in Sydney at that third group - and angry drunks are going to hit people. There are all sorts of theories as to what the solution is, with every vested interest having their say. The only problem is that most the vested interest have skin in the game because they are responsible for the service and sale of alcohol. The obvious problem is one that no politician has the courage to face up to - as long as we gather all the drunk people in one place, the angry drunks are going to hit people. Australians like to drink, and a lot of those Australians like to drink a lot. And the people that sell that alcohol rather like making a lot of money from it. And I'm not sure that there are any politicians who are actually interested in fixing that. The elephant in the room is the long trading hours. Ideally, close off all liquor sales at midnight. ( If you can't drink enough by then you shouldn't be drinking.) There are still trains running. Get people off the streets and on the way home. Forget more Taxis - that's crap. By law you are not allowed to pick up a drunks and anyway what cabbie in his right mind would work that area. Unfortunately I can't see any political party being prepared to take that action as the liquor lobby has such a stranglehold over them with donations and many former politicians have vested interests in liquor outlets. Angry drivers are the reckless one,teenagers mostly on this category. Irresponsible on their duties to ride safely on the road. 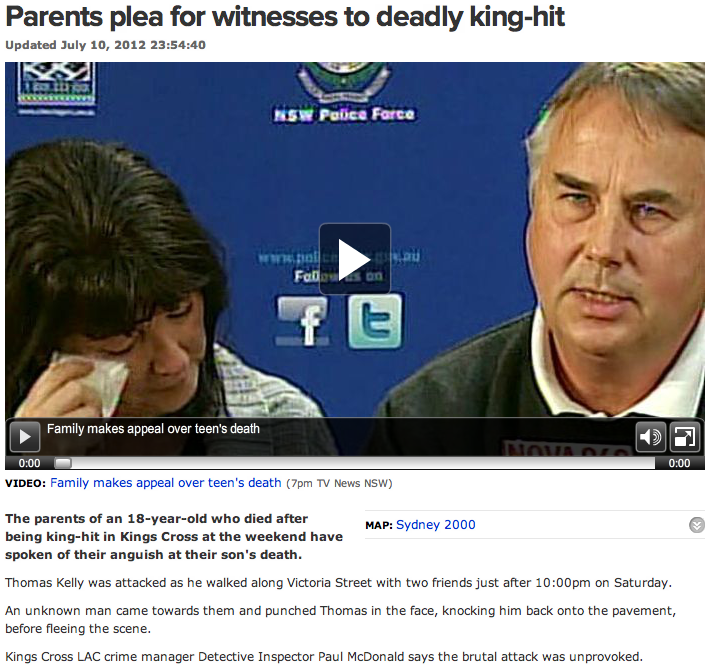 Innocent people are the one's victim of their reckless driving. To ask help and advice we can contact DUI lawyers.